The Hanuman Chatti lies near the confluence of two rivers, Yamuna and Hanuman Ganga. 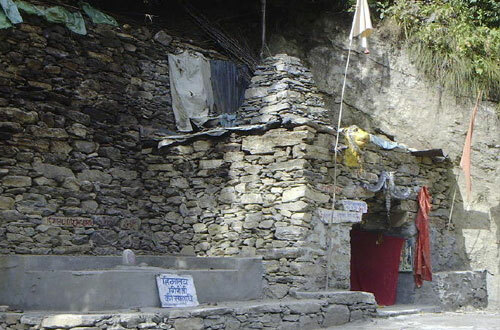 Numerous shrines are situated around Hanuman Chatti, which is also a popular trekking site. 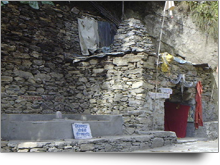 The word "chatti" used to be a night halting place for pilgrims. 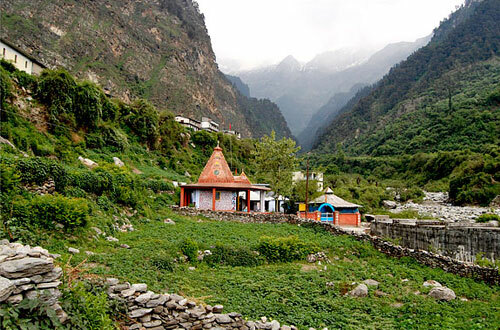 Hanumanchatti is a small hamlet on the way to Yamunotri, and act as a halting places for pigrims during their Char Dham Yatra. Many sanyasis from the Jhuna Akhara choose Hanuman Chatti as their place of residence in the pilgrim season. The most noteworthy amongst the temples is the one dedicated to Hanuman. It is not a very towering structure and is about 6 feet tall. 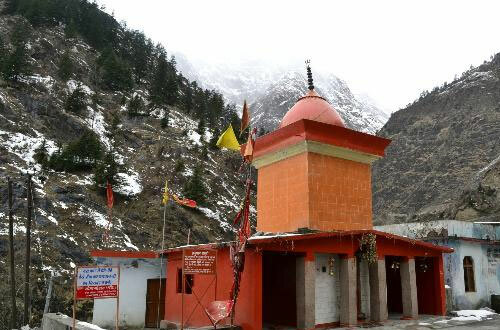 One of the most striking features of this Hanuman temple that you should definitely take note of on your Tour to Hanuman Chatti is the overlapping courses of stone that has resulted in the entire formation. Within the interiors of the temple there is an impressive image of Lord Hanuman carrying a mountain. To the left of the temple there is a Samadhi or burial shrine. 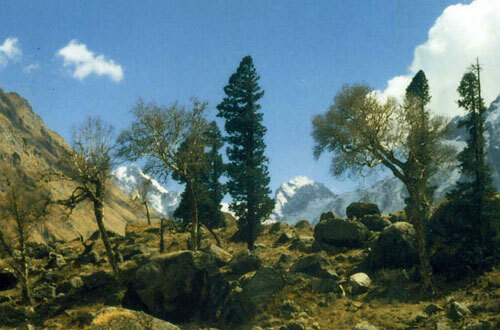 It is that of Himalaya Giri, a saint who lived and meditated in Hanuman Chatti. Hindus generally cremate their dead; however this trend is not followed in case of ascetics who are believed to have shed their worldly ties long ago and consequently not subject to what is mean for the commoners. On top of the shrine there is a Shiva Linga. The obvious implication is that the people revere the saint as Lord Shiva himself. 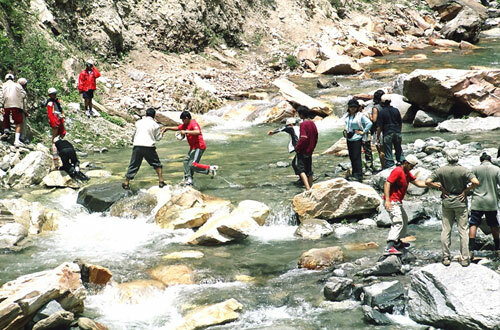 Buses ply directly to the town of Hanuman Chatti from many other important locations in the Uttarakhand. 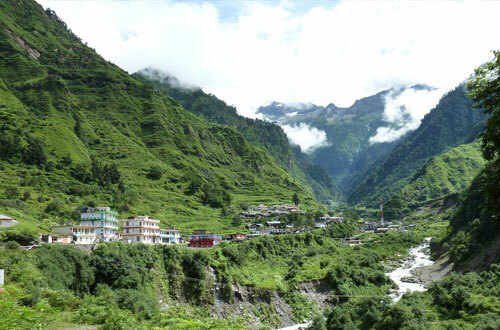 Buses that ply to Yamunotri from major cities in the northern part of India normally run only till Hanuman Chatti, from where local buses and other modes of transport can be taken in order to reach Yamunotri. 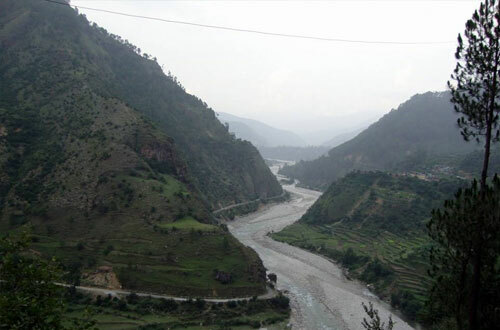 HanumanChatti in Char Dham Road Route Plan Haridwar - Rishikesh - Chamba - Tehri - Dharasu - Barkot - Sayana Chatti - Hanuman Chatti - Jankichatti - Yamunotri - Uttarkashi - Harsil - Gangotri (Gaumukh) - Srinagar - Rudraprayag - Augustmuni - Phata - Sitapur - Guptkashi - Gaurikund - Kedarnath - Ukhimath - Chopta - Gopeshwar - Chamoli - Pipalkoti - Joshimath (Auli) - Govindghat - Hanuman Chatti - Badrinath - Nandprayag - Karnprayag - Devprayag. 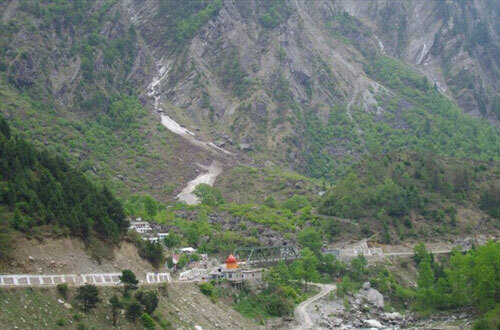 There are few options for accommodation in Hanuman Chatti during Char Dham Yatra. 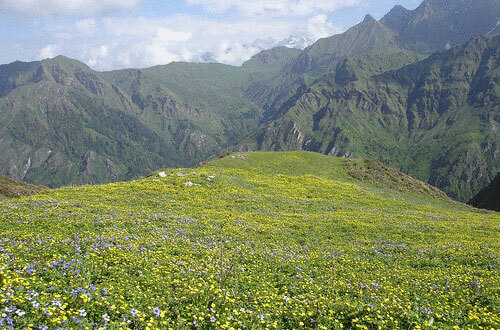 Following is the list of hotels, resorts, guest houses in Hanuman Chatti.